BEN Affleck says media who painted him as a dim-witted "camera whore" treated him worse than a wife-killer. After the critical and commercial success of his new film Argo, Ben Affleck had a long complain to GQ magazine about his previous treatment from the media. He said Good Will Hunting left people assuming he was like his character - the dim-witted friend who hitched his wagon to a real star in Matt Damon. 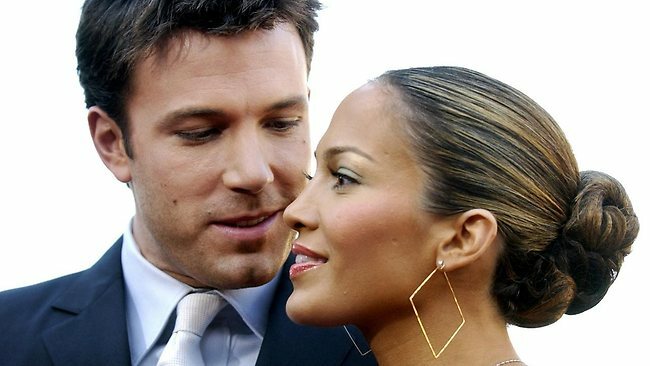 But the media really turned on him when he started dating Jennifer Lopez - with comments such as "it is fashionable at the moment to loathe Ben Affleck. To be honest, the guy makes it easy." "At the time I knew on some level this is insane," Affleck told GQ. "What was that guy's name who killed his wife and dumped her off the side of a boat? Peterson. I remember thinking he actually gets slightly better treatment than I do in the press. At least they had to say 'alleged killer'. "Unfortunately there's an aspect of that, that's like one of those fights you see on YouTube where one of them falls down and then a bunch of people who were standing around come over and kick the person. "They don't know them, they have no involvement in the fight, but they recognise a moment what they can get a free shot in, and for some people it's just too much to resist. "And that was definitely me at that point. I was the guy. I was the designated person to loathe." He thinks people wrongly picked him as the "frat guy" who beat them up at school. And he says they were wrong that his relationship with J Lo was a conscious publicity-grab. "I could tell it was damaging me and I tried to get away from it, but there was still this idea: this is what this guy wants, he's a shallow guy, a camera whore or whatever. And there was no convincing people that this wasn't the case." But he does admit he made some mistakes that contributed to his image problem, such as going to a Rolls-Royce dealership and being given a car to drive around, free of charge. Ben Affleck is on the cover of this month's GQ magazine in the US.